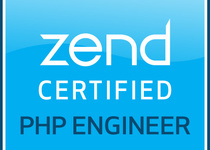 I am a Zend Certified Engineer. I have 6+ years of php experience in e-commerce, travel domain and Content Management System. Expert in Opencart and opencart mod development. Developed...Read moreI am a Zend Certified Engineer. 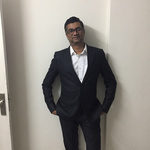 I have 6+ years of php experience in e-commerce, travel domain and Content Management System. Expert in Opencart and opencart mod development. Developed start rated opencart mod which is successfully implemented on number of sites. Also good in Photoshop and designing sense helps me while coding. Being a certified SEO is an add on. Beautiful coding work but out of time for my client . Thanks a lot Amriet for the good words. A tough assignment, as I had very detailed and exacting requirements, but Ajay worked hard and quickly to deliver the desired result. I would recommend him for any Open Cart adaptations that you require. Thanks Ajay! Thanks for the appreciation. This will always encourage to do good work! I said I would use Ajay again, and here I am. Great guy to work with, gets what you are trying to achieve and makes it happen. Thanks. Thanks a lot Richard. It was great working with you. Ajay submitted the only real proposal based on my comprehensive brief. (everyone else sent generic or wanted to talk on 'skype' for more details). Since Ajay adopted my own style of spending a few minutes THINKING about the solution and writing it up, he was a good match. What was Amazing is that within 24 hours I have my solution coded, tested and installed. I cant recommend Ajay enough, but you might have to join the queue as I've already got more work lined up for him! OPENCART: Change the home page lay out out on an Opencart site. Ajay is an excellent guy, just gets on with it, doesn't hassle you and is ultra patient, does exactly what you want him to do. I highly recommend him. Excellent guy, fast and did the job with no hassle, highly recommended. Ajay went above and beyond! He really is a great asset to have as a contact for any technical work. I swear he never sleeps! I'll be looking at getting him to do more work for me very soon! Excellent work and patient service. Will definitely use again soon.